Common cold is the most prevalent minor illness in the world. There is no cure for common cold. However, there are treatments for its symptoms. Always strive to treat the symptoms of common cold to prevent it from stretching too long or from escalating into more severe ailments such as bronchitis, pneumonia or strep throat. Symptoms of common cold include; nasal and/or chest congestion, cough, sneezing, runny nose, sore throat, muscle ache, watery eyes, and fatigue. Also, a feverish sensation could accompany common cold. The most widespread cause of common cold is the cold virus. Over 200 types of viruses cause common cold but the most common virus type is the rhinovirus. Infants and people with a weakened immune system are the most susceptible to common cold. You should always stay hydrated as a hydrated body helps loosen congestion. Avoid alcohol and smoking as these would dehydrate you and worsen the cold symptoms. Rest and relax a lot. You could also use relaxation techniques such as yoga and meditation. This would help hasten the body healing process. Sip warm liquids (such as tea) to help break viscous mucus and phlegm. Wash your hand often to avoid spreading the cold virus. Raw honey contains anti-inflammatory and antiviral properties. It helps to soothe an irritated throat and shortens the lifespan of common cold. Furthermore, honey boosts the immune system and loosens up the phlegm deep in the chest. Taking a teaspoon of raw honey before going to bed does the trick. You can also mix honey with lemon juice or a glass of warm water for optimal results. Garlic is an antioxidant that contains antiviral and antimicrobial properties. That’s why adding garlic to your diet may reduce the severity of symptoms associated with the cold. Garlic also contains allicin compound which can help to open the respiratory passage. For best results, chop the garlic in a cup of water. Drink the solution two to three times a day to flush out the toxins from the body. Ginger contains gingerol compound that inhibits the virus that causes the common cold. You should chop a few pieces of ginger, pour into fresh boiling tea and then let it settle for about five minutes. Make sure you squeeze the ginger with a spoon to get more juice in the cup. You can also add flavor with some honey. Ideally, you should drink two to three cups, every day, until you get well. If you have a runny nose, you should mix ginger powder with ghee and a natural sweetener. Make sure you take the mixture twice a day on an empty stomach. However, before you give ginger to children, reduce the concentration of the ginger tea. This herb has been used by Americans to treat cold for more than 400 years. It contains flavonoids, nicotiflorin, and rutin, which are bioactive compounds with many therapeutic effects on the body. Simply put, Echinacea reduces inflammation, treats upper respiratory conditions and boosts the immune system. Scientific research has shown that the herb can reduce the risk of developing common cold by 50%. An adult should take 1 to 2 grams of Echinacea, three times a day for one week. Chicken soup is one of the most cherished home remedies for common cold. It’s packed with vitamins and nutrients that help to loosen up the mucus. Not only that, it has an anti-inflammatory effect on the respiratory tract. That said, mixing chicken soup with vegetables inhibits the viral cells and prevents the growth of new ones. Also, the hydration, provided by chicken, reduces the duration of the cold. 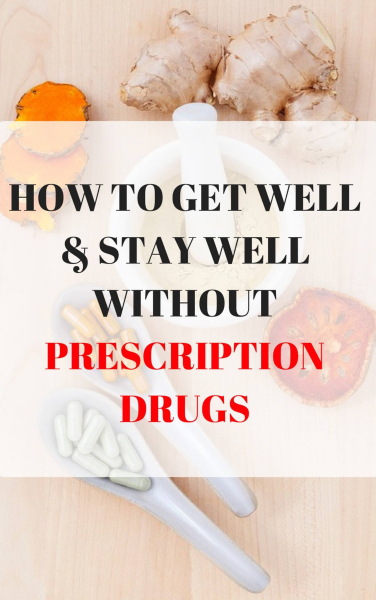 It’s a safe remedy with no side effects. Pepper has anti-microbial properties that kill pathogens in the nasal passage. Also, pepper contains capsaicin components that help to loosen the mucus. With this in mind, a mixture of pepper and apple cider vinegar relieves throat irritation. If you have a running nose, you may want to consider eating pepper with a meal. Additionally, children should gargle pepper in hot water or smell it to break any congestion in their lungs. Gargling warm salt water decreases the severity of cold symptoms. It’s an effective way of preventing upper respiratory infections. Studies have shown that salt water can loosen the mucus which contains allergens. For these reasons, you should dissolve one teaspoon of salt in a glass of water and then swish it around your throat before spitting it out. It may be difficult for a child to gargle with warm water, but it will help to remove any bacteria in the throat. For optimal results, gargle two to three times a day. 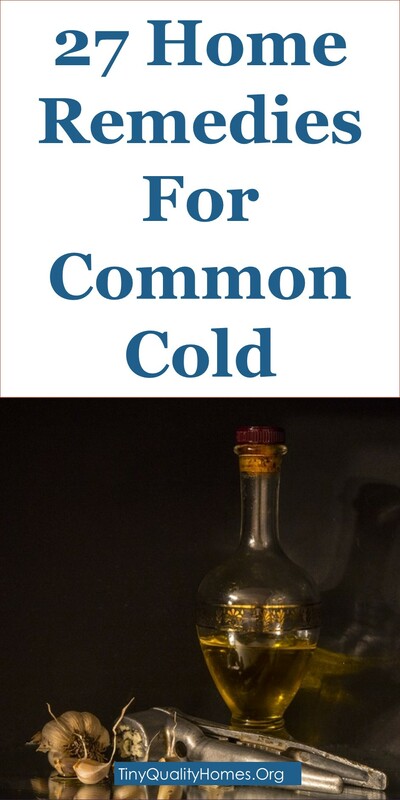 This is one of the oldest methods for treating a common cold. The steam helps to ease nasal congestion instantly, especially in young children. This remedy involves introducing warm moist air into the lungs through the nose for therapeutic benefit. Steam inhalation opens up congested sinuses and moistens the nasal passage allowing you to breathe more easily. Essential oils are the best alternative to over-the-counter medications. It’s known that eucalyptus oil has antimicrobial and antiviral properties which help to fight respiratory problems associated with common cold. On the other hand, peppermint oil is used as a natural decongestant. You can either put a few drops of essential oils in boiling water or inhale the oil right from the bottle. For best results, you can use an essential oil diffuser that disperses the therapeutic benefits of oils into the air. A couple of studies have linked hot liquids with subjective reduction of common cold symptoms. A hot drink will loosen the viscous secretions in the chest making them easier to expel. In other words, you should take warm water, or warm tea, before going to bed to get rid of running nose and sore throat. It’s also advisable that you take a couple of hot drinks throughout the day. Adding a fresh lemon to a cup of green tea will reduce common cold. Also, you should take oranges and vegetables at least three times a day. These are excellent ways of boosting your immune system. Since yogurt has high nutritional and probiotic value, it may help to relieve cold symptoms. The bacterial benefit in yogurt (probiotics) helps to boost the immune system. Medical experts recommend low-fat yogurt. Although yogurt does not necessarily cure the virus, it lessens the duration of a cold. Fish oil relaxes the air passage, boosts the immune system and reduces the risk of upper respiratory infections. When you are down with common cold, you may get tingly sensations in your nostril which is followed by throat irritation. This is a clear sign that your body is not making enough vitamin D which results in a weak immune system. By taking fish oil, you’ll stay healthy during the winter months reducing the risk of getting a cold. There is scientific evidence that combining cinnamon with honey can treat common cold. For this reason, you should add half spoonful of cinnamon powder in lukewarm water and then mix with honey. This solution should be taken three times a day. It will cure chronic cough, not to mention it’s delicious too. When you are in a dry indoor environment and you are suffering from cold, your nasal passage gets dry. Thankfully, you can use a humidifier to increase warm water vapor in the air. This is the best way of keeping your nasal passage moist. As such, you should make sure you monitor the humidity levels in your room and use a humidifier when necessary. Elderflower is a first line of defense against congestion and common cold. Plus, it acts as a natural immune booster. This traditional remedy is backed by science. Elderflower tea is also safe for children and has a pleasant taste. Grapefruit seed extract works as a natural antibiotic with anti-bacterial, antiviral, and anti-fungal properties. You should add 10 to 15 drops of the extract to 5oz of water. Mix well before drinking. For children, add 5 drops of the extract in the same quantity of water. The solution should be taken three times a day. Don’t underestimate the healing power of onions. They have the ability to relieve flu symptoms like congestion, coughs, and respiratory infections. You should slice the onion and then place it beside your bed. This would help break any viscous phlegm or mucus in your nasal cavity while you sleep. Olive leaf extract has anti-fungal, anti-bacterial, and anti-inflammatory properties. To put it succinctly, the leaf extract contains bioactive phytochemicals that prevent the replication of viruses. It also prevents upper respiratory infections. You should take the extract along with your meals three times a day. Apple cider vinegar is effective in rebalancing the body pH levels and in the process, inhibiting the common cold virus. Dilute ACV in a cup of warm water and drink. Do this 2-3 times in a day. A weak and fatigued body could lead to a breakdown in your body and in your immune system. This, in turn, could lead to a common cold bout. Taking a relaxing bath with Epsom salt could reduce your stress levels and replenish your energy. You would also be detoxifying your body in the process. For this remedy, fill a bathtub with warm water. Add Epsom salt to the water. Then, soak your body and relax in the bathtub for about 20 minutes. Green tea is rich in antioxidants that would hasten your recovery from common cold. A hot cup of green tea would also help to break up any viscous phlegm or mucus in your nasal passage and throat. A hot cup of green tea would also help provide relief from symptoms of common cold such as sore throat, runny nose, and fatigue. Turmeric is rich in curcumin which has antioxidant and antimicrobial properties that would help provide relief from common cold symptoms. A warm cup of milk would help break down the viscous phlegm and mucus in your throat and nasal passage. For this remedy, drink a mixture of turmeric and a cup of warm milk preferably before going to bed. Contrary to popular belief, milk does not increase mucus production. Drinking a hot cup of chamomile tea would help clear the throat and nasal congestion. Also, chamomile is rich in antioxidants and antimicrobial properties that would provide relief from the cold symptoms. To enjoy this remedy, simply sip hot chamomile tea all day long. Fenugreek seeds are readily available and they have potent antimicrobial and anti-inflammatory properties which make them an effective home remedy for common cold symptoms. For this remedy, you can make fenugreek seed tea by boiling fenugreek seed in hot water for about 10 minutes. Strain the water out and leave it to get warm. Then, drink this water as tea. you can add honey for taste and additional health benefits. Mullein is a fantastic expectorant that helps thins out mucus and phlegm. Thus, making it easy to cough the mucus out. This makes mullein effective for cold that is accompanied with heavy nasal and chest congestion. You can improve the expectorant potency of mullein by mixing it with other natural expectorants such as thyme. To make mullein tea, add some mullein herb to boiling water and leave it there for 5 to 10 minutes. Then, strain the water out. Add honey or lemon if you want. Sip mullein tea all day long for effective result. You could make your own chest salve for chest and nasal congestion relief. To do this, mix about 10 drops of peppermint oil with 1/2 cup of warm coconut oil. You can then rub this salve on your chest or right under your nose for relief from cold symptoms. Furthermore, this salve can be stored in airtight container and away from sunlight for more than a year.